-breeders'services info Breeders List (below) with over 150 Breeder listings! 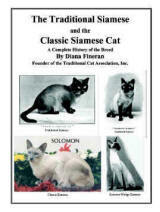 The Traditional Cat Association, Inc. provides the most comprehensive Breeders List of Traditional and Classic Cats available anywhere. This list contains only breeders with the highest level of honesty and integrity. Only Breeders who are interested in serving their customers and concerned about the health and welfare of their cats are listed on our Breeders List. No Kitten Mills are supported. ...I really appreciate everything you have been doing, and all the great info you have given us! I think TCA is a great cat association - you have so much to offer, and I believe you put the other cat associations to shame! I have gotten quite a few inquiries about kittens in the past couple months, since I have been on your breeders list, so I think this is great for both the clients and the catteries! On behalf of all of the breeders and enthusiasts of the Traditional Cats and Classic Cats, we want to thank you for your interest. If you are one of thousands of previous or current owners of these special cats, we understand your fondness and respect for the personality and physical characteristics of Traditional and Classic Cats. This effort began in March of 1987 by Diana L. Fineran, and has continued with the support of the current members of this non-profit Association. Our informative, bi-monthly Newsletter contains stories from our members, reports of activities promoting the Traditional and Classic Cats, editorials, reports of Association activities and cat shows. I have operated our Kitten Referral Service since the beginning of TCA, Inc. It consists of maintaining our Breeders List and making sure it is advertised to perspective customers. As a show of support for this effort and to receive our monthly Newsletter with information about breeders and owners, you can join The Traditional Cat Association, Inc. If interested, please send your membership fee of $15.00 (pro-rated per month) for a one-year membership. Here are those breeders who have gone the extra mile to include additional information about their cats, catteries, and other services. We hope you take advantage of this, and please let them know where you saw this information, and what you liked about it. At TCA, Inc. we strive to support those breeders that offer the highest integrity, honesty, interest in the welfare of their cats and who strive to satisfy their customers with healthy, happy kittens. No kitten mills are supported here. Links to Specific Breeds supported by TCA, Inc. Since man is steward of the animals, we are responsible to them to care for them correctly. With greater ability and power comes greater responsibility and penalty when we fail. Animals cannot hold us accountable, so we must hold each other accountable for the way we treat the creatures God has placed in our care.